Although van Gogh sold only one painting in his life, the aftermath of his work is enormous. 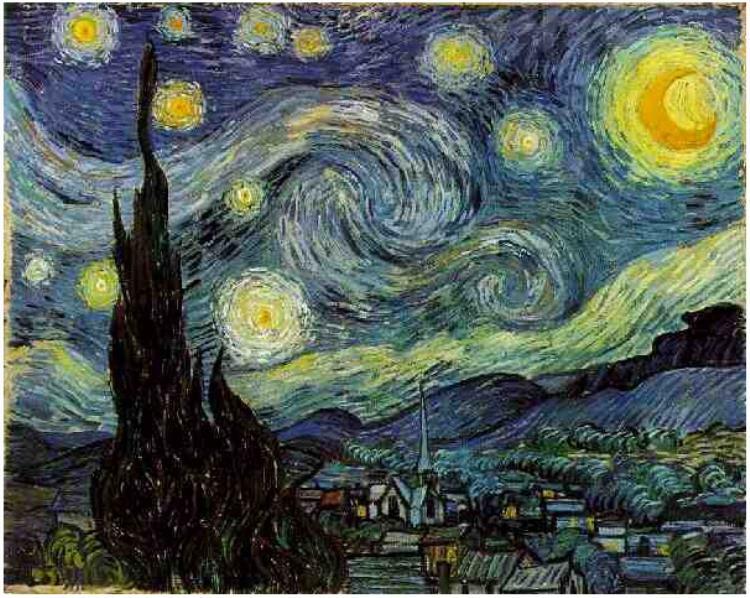 Starry Night is one of the most well known images in modern culture as well as being one of the most replicated and sought after prints. 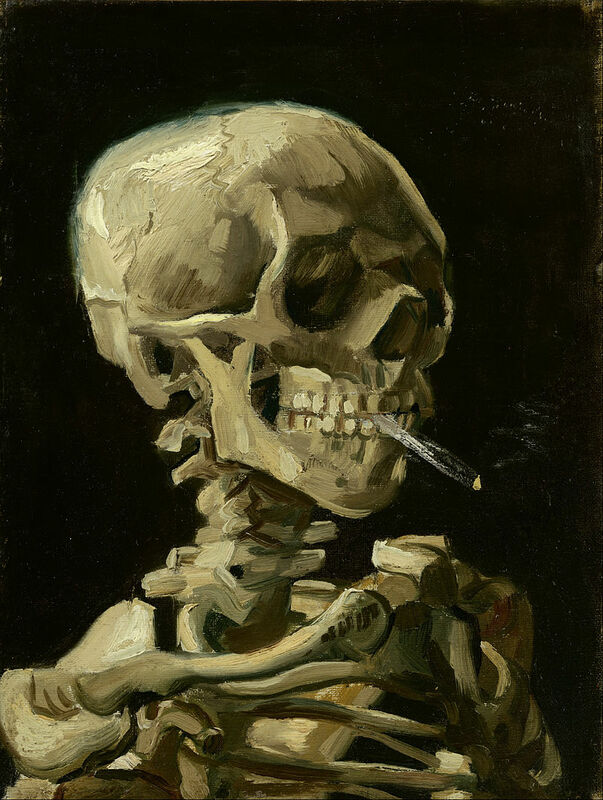 From Don McLean's song 'Vincent' (Starry, Starry Night) (Based on the Painting), to the endless number of merchandise products sporting this image, it is nearly impossible to shy away from this amazing painting. Biographer David Sweetman writes that the bullet was deflected by a rib bone and passed through his chest without doing apparent damage to internal organs, probably stopped by his spine. He was able to walk back to the Auberge Ravoux. He was attended by two physicians, neither with the capability to perform surgery to remove the bullet, who left him alone in his room, smoking his pipe. The following morning as soon as he was notified, Theo rushed to be with Vincent, to find him in surprisingly good shape; within hours, however, he began to fail, the result of untreated infection in the wound. 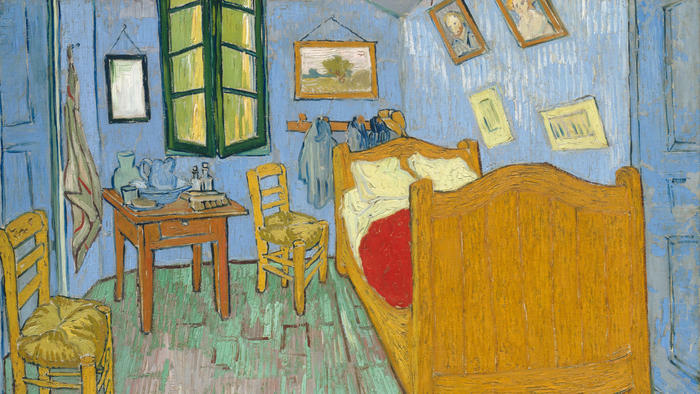 Vincent died in the evening, 29 hours after he shot himself. Theo reported his brother's last words as "The sadness will last forever." Two graves and two gravestones side by side; heading behind a bed of green leaves, bearing the remains of Vincent and Theo van Gogh, where they lie in the cemetery of Auvers-sur-Oise. 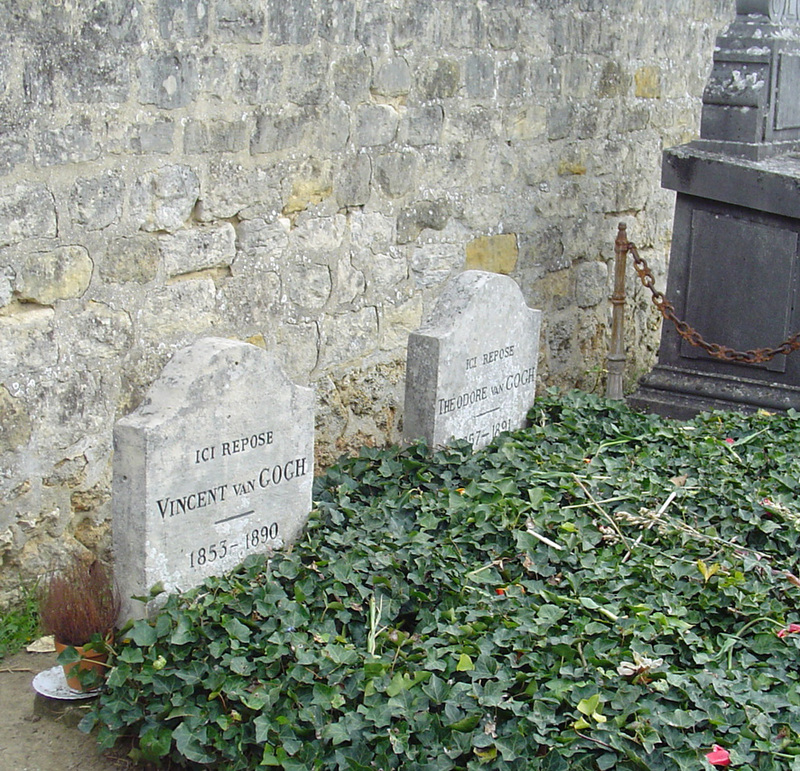 The stone to the left bears the inscription: Ici Repose Vincent van Gogh (1853–1890) and the stone to the right reads: Ici Repose Theodore van Gogh (1857–1891) Vincent and Theo buried together in Auvers-sur-Oise. Vincent's stone bears the inscription: Ici Repose Vincent van Gogh (1853–1890), Theo's Ici Repose Theodore van Gogh (1857–1891). Van Gogh was buried on 30 July in the municipal cemetery of Auvers-sur-Oise at a funeral attended by Theo van Gogh, Andries Bonger, Charles Laval, Lucien Pissarro, Émile Bernard, Julien Tanguy and Dr. Gachet amongst some 20 family and friends, as well as a number of locals. The funeral was described by Émile Bernard in a letter to Albert Aurier. Theo suffered from syphilis and his health declined rapidly after Vincent's death. Weak and unable to come to terms with Vincent's absence, he died six months later, on 25 January, at Den Dolder. The original burial plot was leased for 15 years; the intention was to bury Vincent alongside Theo. Vincent's remains were exhumed on 13 June 1905, in the presence of Jo Bonger, Dr. Gachet and others, and relocated, eventually for Theo to be buried beside him. The precise location of the original grave is no longer known. 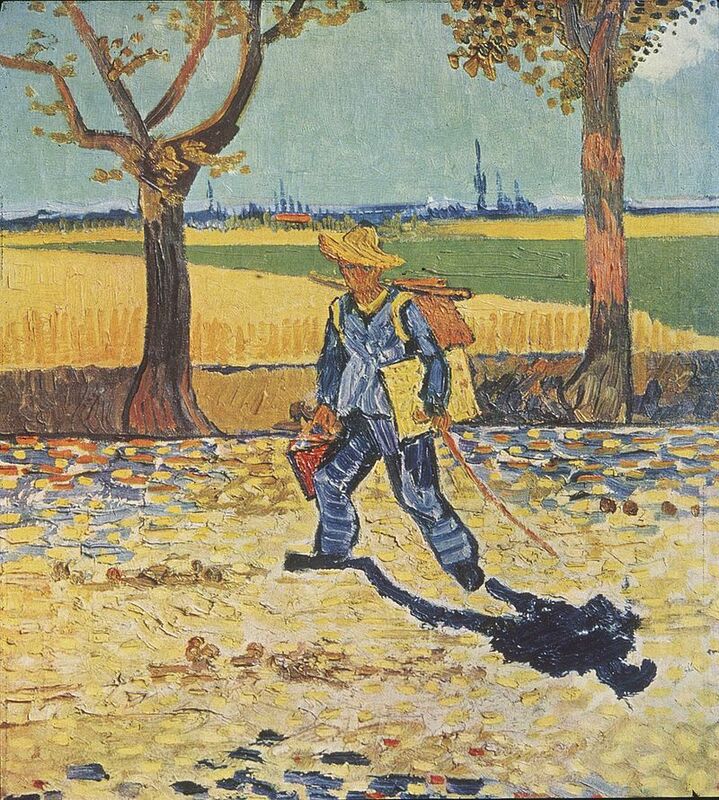 In 1914, the year she had van Gogh's letters published, Jo Bonger had Theo moved from Utrecht and reburied with Vincent. "I Dream my Painting and I Paint my Dream." 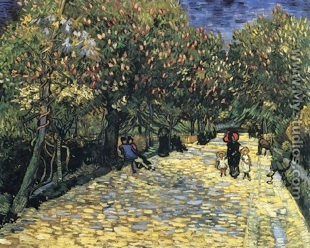 While many of Vincent's late paintings are somber, they are essentially optimistic and reflect his desire to return to lucid mental health right up to the time of his death. Yet some of his final works reflect his deepening concerns. Referring to his paintings of wheat fields under troubled skies, he commented in a letter to his brother Theo: "I did not have to go out of my way very much in order to try to express sadness and extreme loneliness." Nevertheless, he adds in the same paragraph: " ... these canvases will tell you what I cannot say in words, that is, how healthy and invigorating I find the countryside". 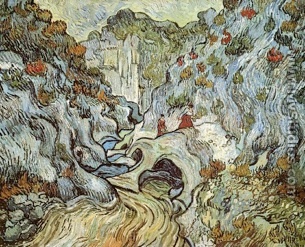 There has been much debate over the years as to the source of van Gogh's illness and its effect on his work. Over 150 psychiatrists have attempted to label its root, with some 30 different diagnoses. Diagnoses include schizophrenia, bipolar disorder, syphilis, poisoning from swallowed paints, temporal lobe epilepsy and acute intermittent porphyria. Any of these could have been the culprit and been aggravated by malnutrition, overwork, insomnia and consumption of alcohol, especially absinthe. 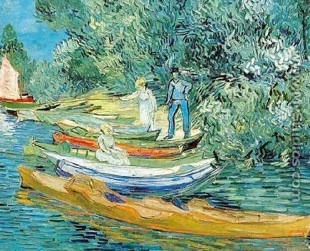 Van Gogh's finest works were produced in less than three years in a technique that grew more and more impassioned in brushstroke, in symbolic and intense color, in surface tension, and in the movement and vibration of form and line. 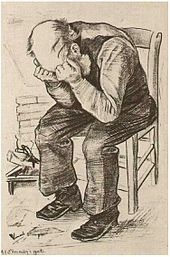 Van Gogh's inimitable fusion of form and content is powerful; dramatic, lyrically rhythmic, imaginative, and emotional, for the artist was completely absorbed in the effort to explain either his struggle against madness or his comprehension of the spiritual essence of man and nature.